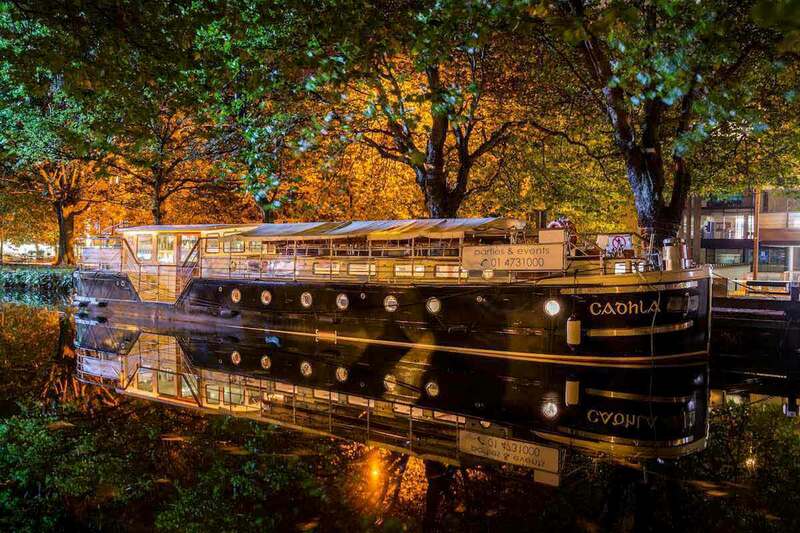 Book now to enjoy a Dinner Cruise on Thursday 18th, Friday 19th or Saturday 20th April at 8pm. 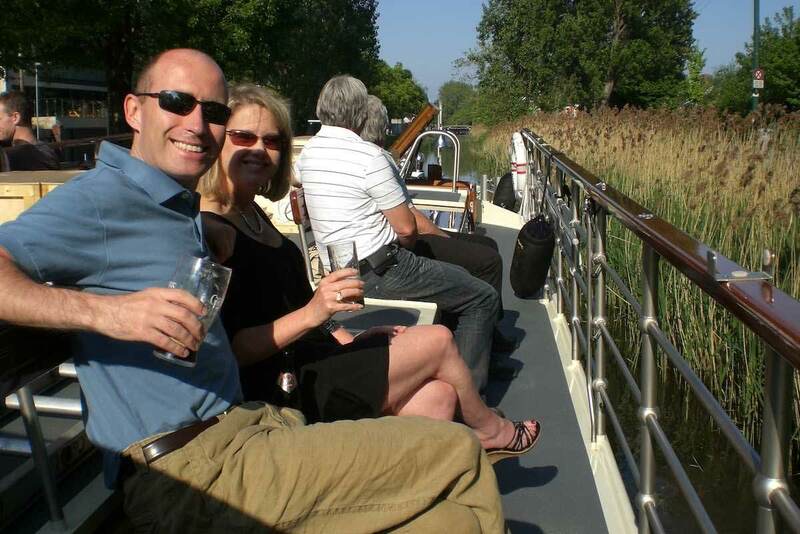 Our two-hour dinner cruise takes in a beautiful stretch of the Grand Canal. 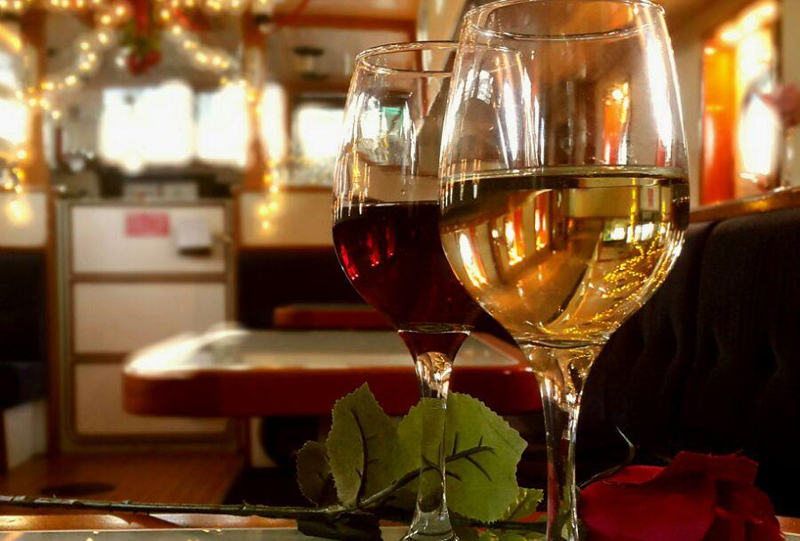 Savour some drinks up on deck whilst enjoying the wonderful views before making your way down to our dining saloon for a delicious three-course meal. 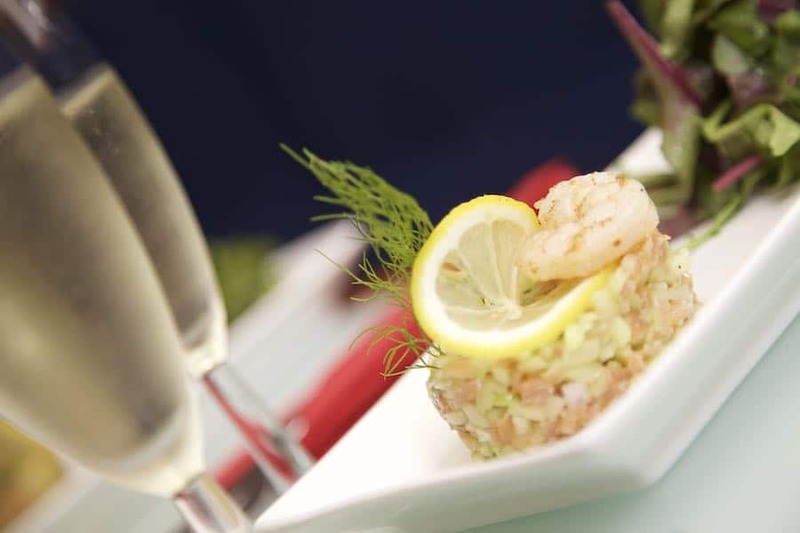 All of our dishes are freshly prepared by our expert team of onboard chefs who are happy cater to dietary requirements on request. 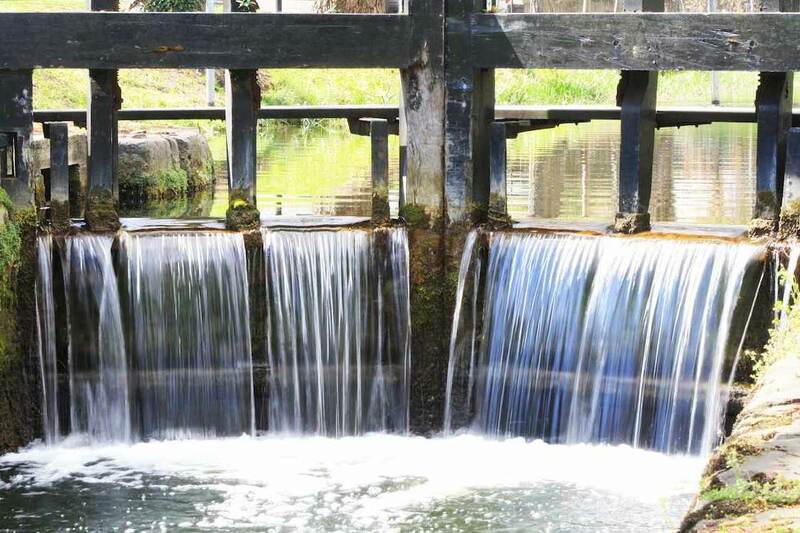 Our Eco-Friendly barge is battery operated allowing us to cruise silently and smoothly along the canal with no fumes emitted. 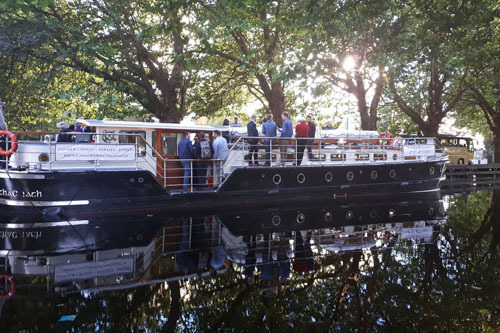 Between courses, why not spend some time up on deck chatting with our crew and watching as they cruise through the canal’s centuries old locks which are still operated by hand.